iCubesWire announced the appointment of Sabareesh Moorthy as the Head – RDX Sales & Trading Desk at their Mumbai office. Sabareesh Moorthy will head the agency account sales in the West region and set up a new initiative in the trading desk for programmatic advertising. Sabareesh brings with him an industry experience of more than 12 years. 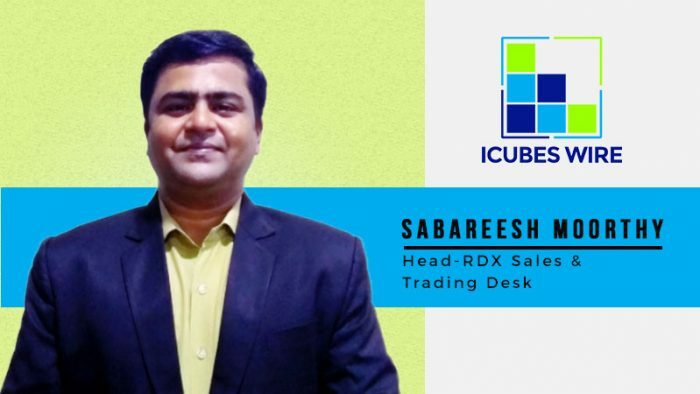 Prior to joining iCubesWire, Sabareesh was associated with Publicis Media as Associate Director and Group Head of Advertising Operations, where he was accountable for programmatic technology, campaign management & optimization and advertising operations. He has also worked with Cartrade.com as Assistant General Manager – Media Sales, Madhouse as Group Head – Operations, Automotive Exchange Private Limited as Ad Operations Manager and other organizations like Yahoo India, Tribal DDB India, Mindshare, etc. At iCubesWire, he will work towards expanding and strengthening the business while being closely associated with Sahil Chopra, CEO and Aditya Singh, COO. All you need to know about Quora Ads!